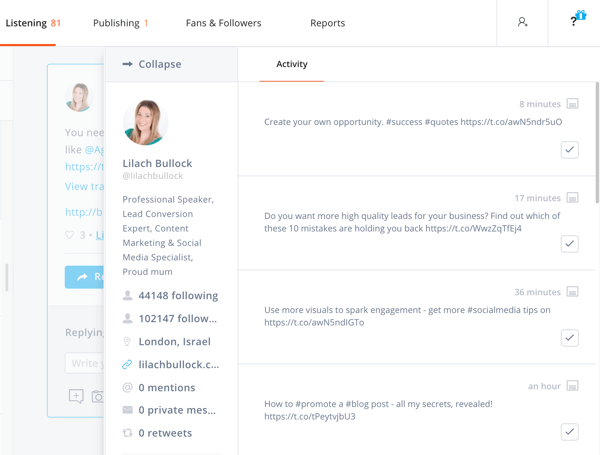 Need help monitoring your company’s mentions on social media? Looking for tools to simplify the process? In this article, you’ll discover five social media monitoring tools to help you better engage online. 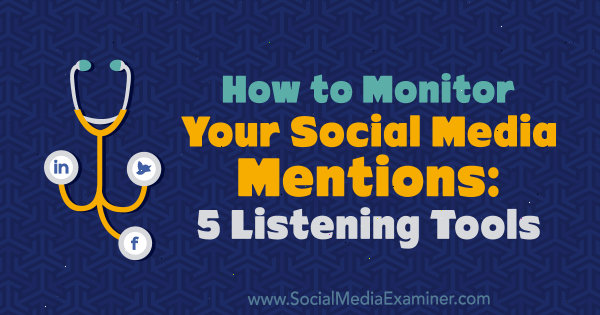 How to Monitor Your Social Media Mentions: 5 Listening Tools by Marcus Ho on Social Media Examiner. Gone are the days when customers would ring up your call center or write you an email to resolve a query or express their unhappiness. Today, the first place customers turn to is social media, which means you need to be doubly vigilant and track brand mentions to improve your customer service standards and retain customers. Moreover, on social media, customers expect quick responses so be prompt, polite, and impart value when responding to them. 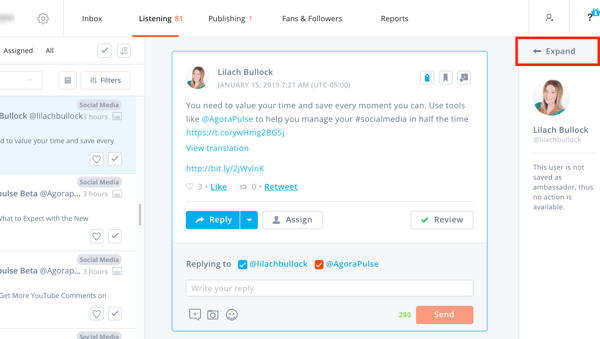 A simple and affordable social media management tool (plans start at $39/month), Agorapulse lets you track customer conversations with ease, taking your customer service to the next level. 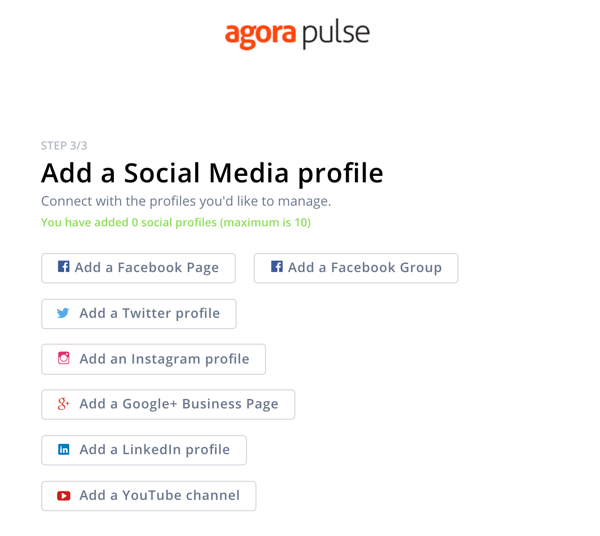 Be it organic or dark posts, Agorapulse lets you look into the person’s detailed profile and past conversations to handle queries more effectively. Start by adding the social media profiles you want to monitor. The app lets you add up to 10 profiles. On the dashboard, open the Listening tab and click Create a New Search. 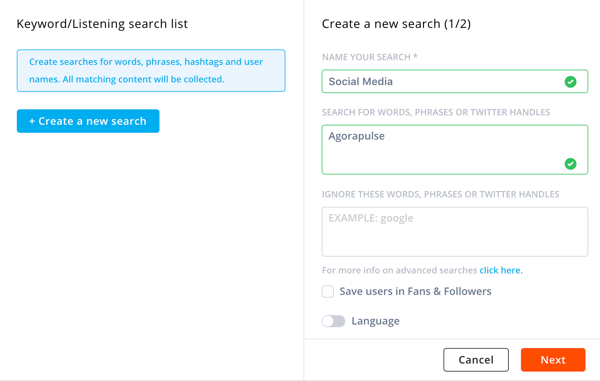 Next, add a name for your search and type in the keywords you want to search for. Then click Create This Search. The search results are displayed on the left on the Listening tab. Click on the comment you want to look into. The user’s detailed profile then appears on the right. Click Expand to see previous conversations from this user to get some context before replying. 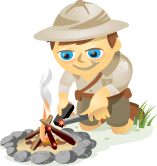 After you review the user’s activity, you can reply to their comment or assign it to another team member. This tool is particularly beneficial for large accounts that get multiple queries daily and have a team of people managing customer service on social media. With Agorapulse, you’ll never miss out on a conversation, can flag pressing issues that need to be resolved, and ensure everyone on the team is on the same page. Regular tracking of brand mentions and tapping into customer conversations helps you gain insights into your customers’ needs and pain points and obtain feedback on your product or service. After all, the only way to take the customer experience a notch higher is by listening intently to your valuable customers and taking their feedback seriously. Now with the best of social media monitoring tools one click away, you no longer need to rely on traditional, costly research methods to obtain customer data. Awario notifies you about the conversations taking place surrounding your brand so you can react before anyone else. It cuts out the noise by showing you the important conversations first, giving you customer insights to improve your marketing efforts. Plans start at $29/month. After you click Create a Project, enter your brand name and competitors, and then click Create Project. Once the conversations appear in your dashboard, you can scroll through the list and click on the conversations you want to know more about. 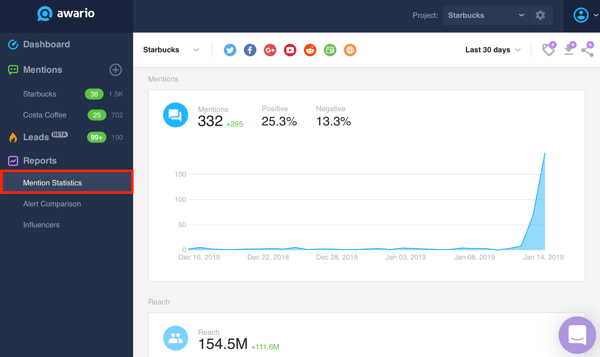 In the left sidebar, click on Mention Statistics to see an overview of your brand’s performance in terms of mentions and reach. If you scroll down the page, you can also see where active customers on social media are located geographically, what languages they speak, and which platforms are generating the most brand mentions for your business. 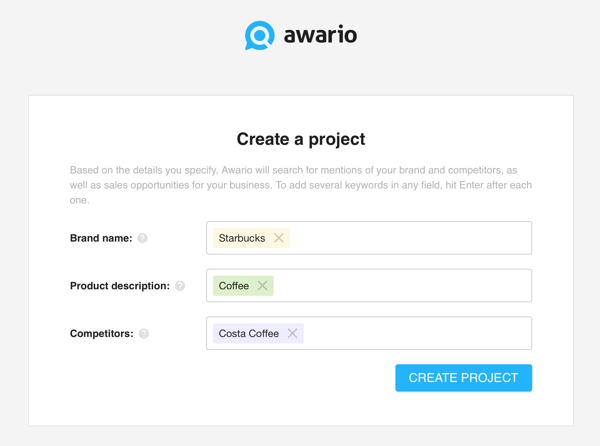 Awario supports multiple languages, so you’ll be notified about wherever in the world your brand is being talked about. What’s more, you get access to reports and statistics that are easy to read, understand, and share so you won’t be overwhelmed with information overload. Imagine having a PR crisis unfold without you having a clue about it. That’s a situation you never want to find yourself in because damage to your reputation can cost your business. One viral negative comment or a small mistake on social media has the power to destroy years of hard work. Make sure you monitor your brand so you can handle a reputation crisis effectively and in a timely manner. The key is to detect the crisis early, take a stand, and politely respond to those taking your brand down. Don’t be the brand that begins monitoring only in times of a crisis. It’s a good idea to constantly track what’s being said about your business and tackle every little negative comment. 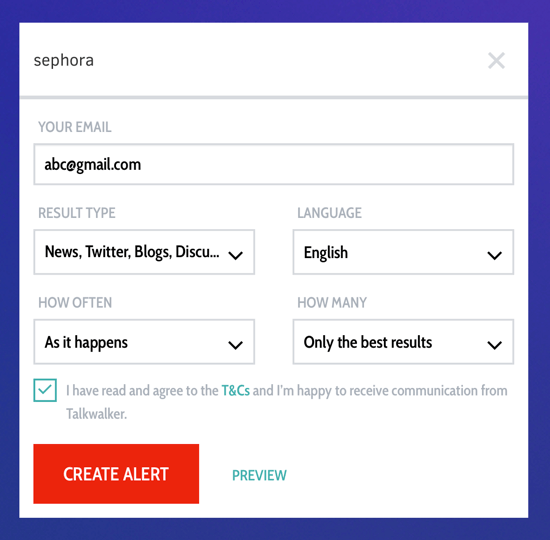 Stay on top of your game and protect your brand from reputation damage by following every mention that comes your way with Talkwalker Alerts. You can monitor your brand across websites, blogs, forums, and social media channels with this tool. All you need to do is set up a free alert and get updates in your inbox. 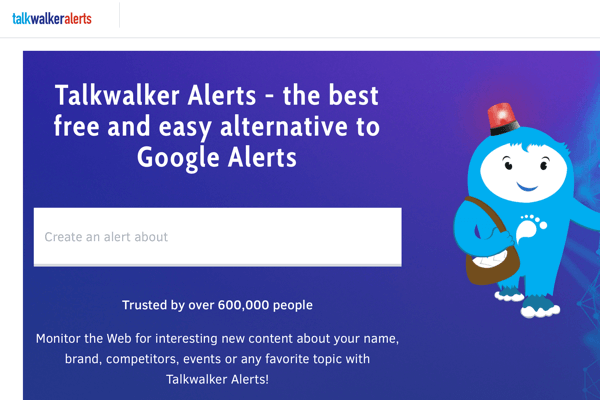 On the Talkwalker Alerts home page, enter the topic for which you want to set an alert. In the alert setup box, enter your email address, choose the frequency of alert notifications, and select the platforms on which you want to search for mentions. It’s a good idea to select Only the Best Results so you’ll be notified of the important conversations/alerts. After you agree to Talkwalker’s terms, click Create Alert. Once you’ve created your alert, you’ll get notified about mentions right away so you can promptly handle any crisis before it gets out of control. Brand advocates are people who voluntarily talk favorably about your brand. They’re valuable assets to have and it’s in your best interest to spot, acknowledge, and nurture them. The easiest way to do that is to keep track of mentions and shoutouts pertaining to your brand in the social media space. Use the appropriate keywords related to your brand and pay close attention to those cheerleaders who consistently retweet your content, talk positively about your brand, or tout your brand to their followers. Brand advocacy builds trust and credibility, and you must acknowledge and reward this community to spread the good word. With all of Mention’s comprehensive features, influencer marketing is one of its best offerings. This tool lets you identify powerful voices in your industry who can boost your marketing efforts. It helps you connect and nurture relationships with the people who have the power to make a positive impact on your brand. Mention offers a free limited plan, but upgrading to a paid plan (starting at $99/month) gets you access to the Influencer dashboard. 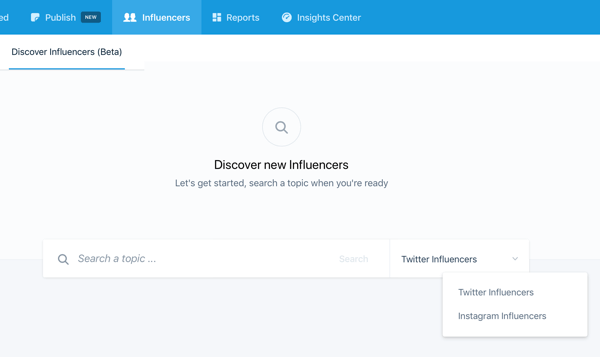 Click on the Influencers tab to discover new influencers speaking about your brand. 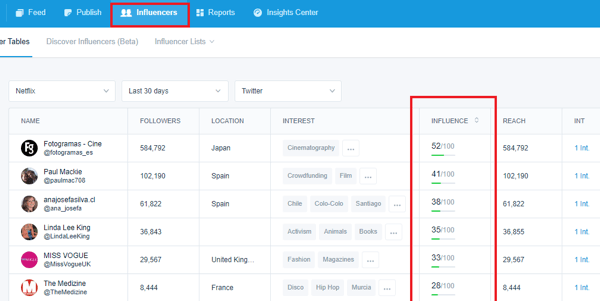 You can sort the results based their influencer score (highlighted below) and connect with them. You can also speak to potential influencers in your business domain. Click on Discover Influencers and search for influencers. From here, you can strike up a conversation with them to turn them into brand advocates. 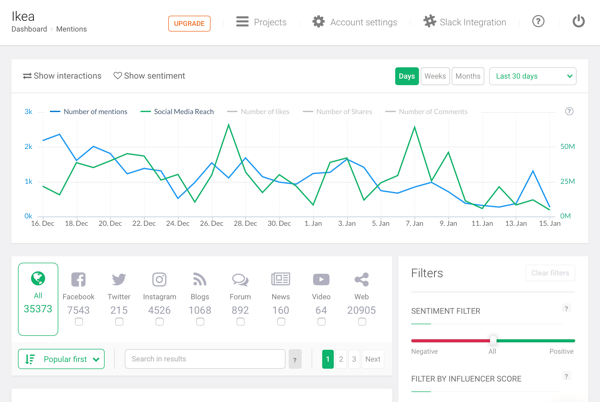 Whether it’s to drive brand awareness through the top influencers in your industry or engage with relevant micro-influencers to run a giveaway on social media, Mention’s influencer dashboard gives you a detailed list of influencers you can collaborate with based on your campaign goal and budget. So whether it’s once a week or once a month, make sure you spend time analyzing your competitors’ performance on social media and make that data work for you. Brand24 understands the importance of keeping an eye on your competitor’s performance. 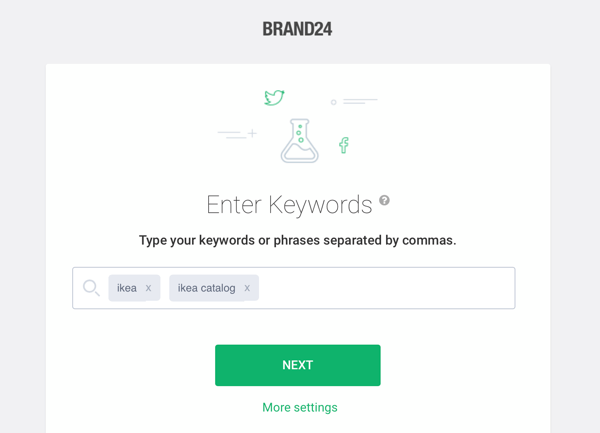 Its user-friendly interface lets you track competitor keywords with a click of a button and makes you privy to competitor data that’s easy to understand and analyze. Plans start at $49/month. Enter your competitors’ names in the search box. You can also include their hashtags, campaigns, and product names. 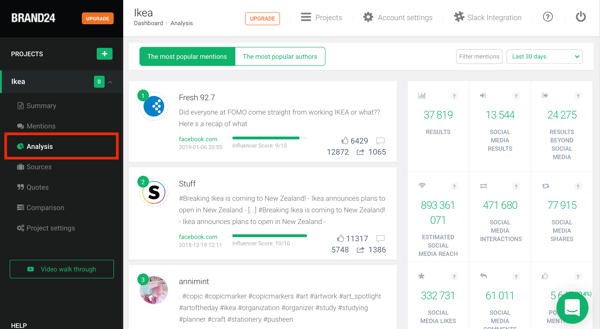 You can then get a quick summary of the interactions and sentiment analysis across platforms. To dive deeper, click on Analysis in the left sidebar to get a detailed view of reach, comments, top commenters, and shares. No matter how big or small your company is, competitors are never too far behind. You can learn from their mistakes, take inspiration from their good practices, and even jump into customer conversations that project your brand in a positive light. Whatever your reason, tracking competitors using a tool like Brand24 is always a good idea. Brands can no longer bombard followers with branded communication expecting them to be interested. Social media calls for a dialogue. Marketers need to spark meaningful conversations, engage with customers, and use social media to build lasting relationships. This makes tracking brand mentions an important part of your social media strategy because it lets you monitor and assess customer sentiment, and understand how your brand is being perceived. What do you think? 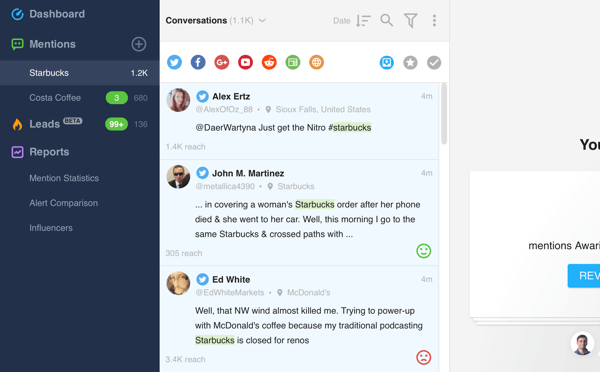 Do you use any of these tools to monitor mentions of your brand? What other valuable tools do you have in your toolbox? Please share your thoughts in the comments below. Learn how to use three tools to manage influencer relationships and campaigns. Find three social media management tools with valuable features for marketing teams. 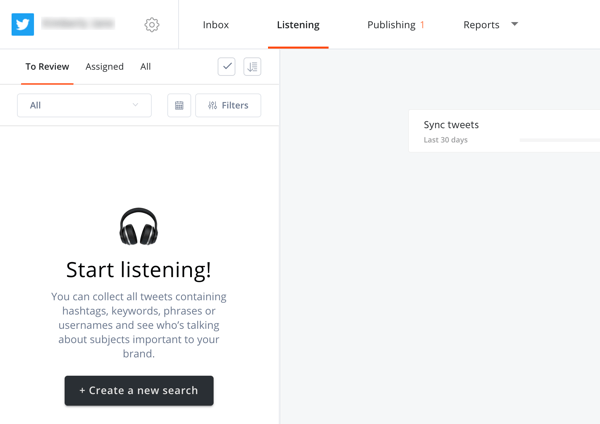 Discover 10 tools to help with social listening, content creation, and campaign management.